This file is part of cartopy. 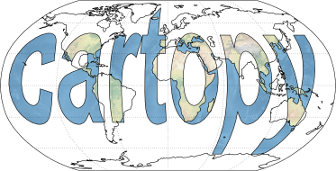 Cartopy is free software: you can redistribute it and/or modify it under the terms of the GNU Lesser General Public License as published by the Free Software Foundation, either version 3 of the License, or (at your option) any later version. Cartopy is distributed in the hope that it will be useful, but WITHOUT ANY WARRANTY; without even the implied warranty of MERCHANTABILITY or FITNESS FOR A PARTICULAR PURPOSE. See the GNU Lesser General Public License for more details. You should have received a copy of the GNU Lesser General Public License along with cartopy. If not, see https://www.gnu.org/licenses/. © British Crown copyright, 2016. You may use and re-use the information featured on this website (not including logos) free of charge in any format or medium, under the terms of the Open Government Licence. We encourage users to establish hypertext links to this website. Any email enquiries regarding the use and re-use of this information resource should be sent to: psi@nationalarchives.gsi.gov.uk.